Style Source Magazine | Thickr Thickening Conditioner 13.5 oz. 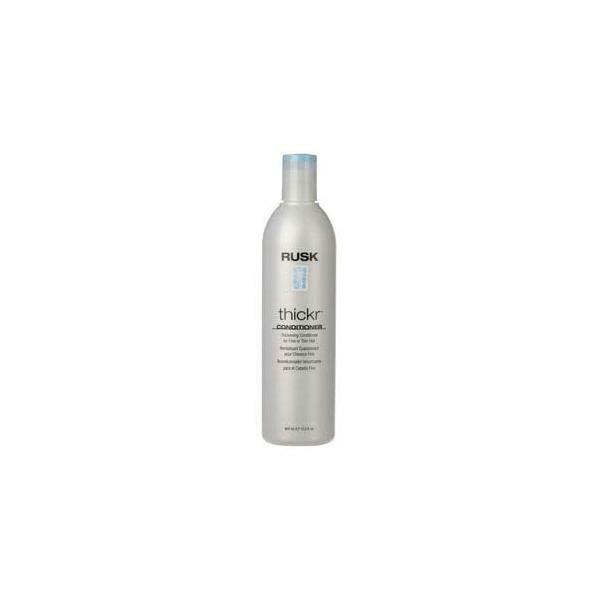 Home /	Brands / Rusk Designer Collection / Thickr Thickening Conditioner 13.5 oz. What is it? A daily use thickening conditioner that strengthens and repairs while significantly increasing the quality and texture of hair. What does it do? Contains strengthening agents to increase the thickness of hair shaft and give hair a full-bodied appearance. Prevents dry brittle hair, and protects against the heat of blow-dryers and flat irons. How do you use it? Apply to wet hair, massage into a lather, rinse.